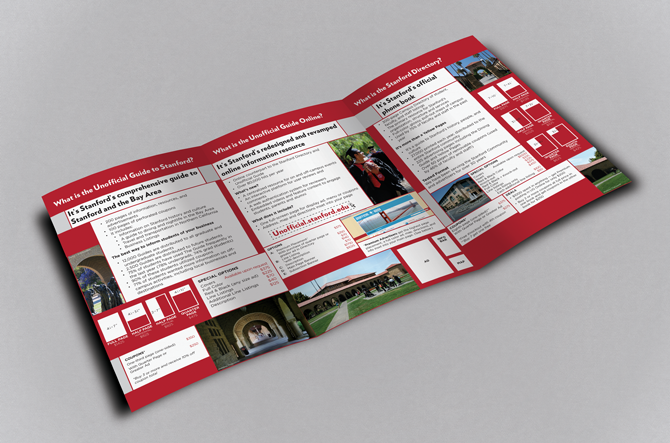 Trifold brochure designed for Stanford Student Enterprises’ advertising department. SSE wanted an informational brochure their ad reps could bring to clients that clearly communicated their services and rates while engaging their prospective clients. Bold colors were used in combination with simple and straightforward infographics and photographs that captured the vibrancy of campus life. 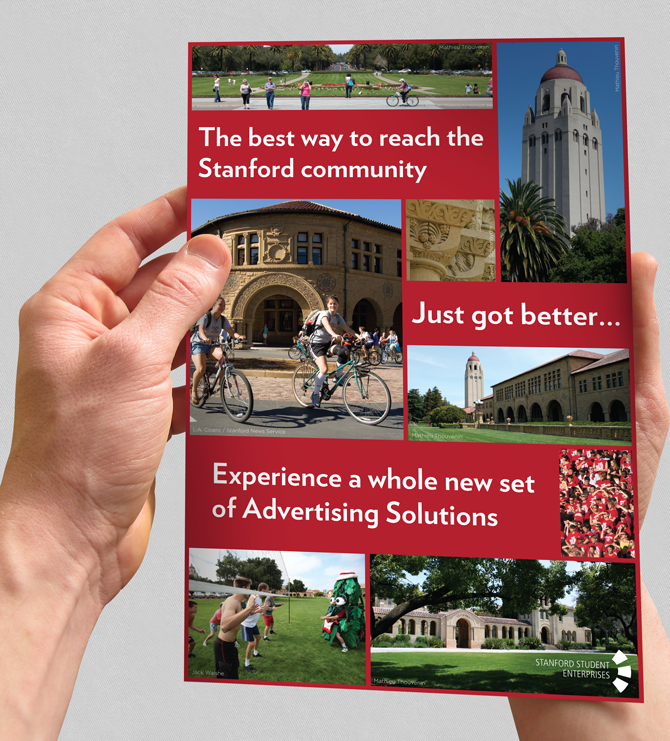 The complete package shows advertisers not only SSE’s competitive rates, but reminds them Stanford’s student body provides a wealth of advertising solutions.